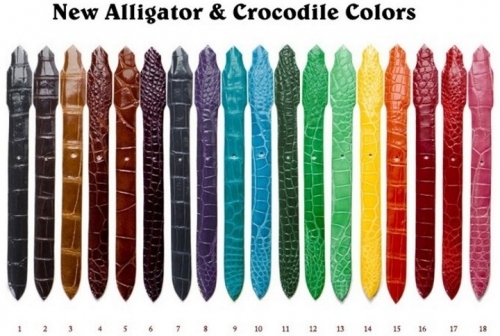 2" Radius Cut Croc or Alligator belt with Sterling Silver Buckle, Available in 24 color options! Handmade by Peter Hoffman. Each belt is lined in harness leather and bear his signature stamp. 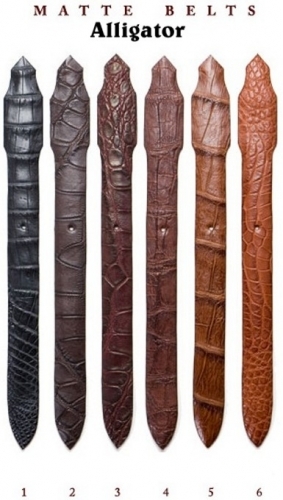 Hoffman belts come with a lifetime guarantee. Belt and buckle are available for purchase separately in the drop down menu. See menu for a la carte pricing. Custom colors are available. Contact us for more information!.